Study for your MBA at the Top Ranked Business School TiasNimbas. Study in The Netherlands - a country with an open, easy-going culture in which English - the international language of business - is spoken at an almost-native level. The Full-time MBA at TiasNimbas is truly international in focus and is designed to allows candidates to meet the world. The programme is delivered by renowned academics, and candiates join international peers in small classes of highly diverse professionals who come from a wide variety of industry and functional backgrounds. The MBA programme takes a unique three-tier approach to academic, personal, and social development. Great emphasis is placed on personal development throughout the TiasNimbas MBA programme, and participants receive a high degree of individual support and attention. The TiasNimbas MBA is designed with strong foundations in all major business disciplines and an action learning method, which requires intensive interaction and communication with classmates, allowing candidtaes to learn how other cultures think and act in business. Group projects within this highly international cohort provide hands-on skills in ‘global cooperation’. Over the one year programme, candidates benefit from making connections between the right people, and the right ideas – which results in an intense journey of self-discovery as they connect what they already know with what they need to know to open doors on their career path. The quality of your programme is partly based on the quality of the participants. Therefore admissions at TiasNimbas is competitive. You must have a bachelors or masters degree from an accredited institution. You have to take the GMAT test (your score must be over 550 points* and the test remains valid for three years. You must have proficiency in English. For all non-native speakers, a TOEFL; or IELTS. You must have a minimum of 3 years work experience. TiasNimbas uses a rolling admissions process, which means applications are reviewed as they are received and decisions are issued year-round. It is always advantageous for you to submit your application as early as possible. The fees for the TiasNimbas Full-time International MBA programme are € 37.500, which includes books, lectures, tutorials and examination fees and the international studytrips. TiasNimbas Business School offers the possibility to pay the tuition fee in (monthly) installments. A limited number of scholarships are available to candidates with a good academic record who demonstrate exceptional leadership potential. The following opportunities give you a chance to engage with the external world using your new knowledge and your leadership abilities. TiasNimbas Business School offers graduates one of the best benefits available in business educations. On graduating from the International Full-Time MBA, participants immediately become part of a fast-growing network of nearly 11,000 international alumni in 75 countries, most of whom are managers at the largest Global 1000 organisations. 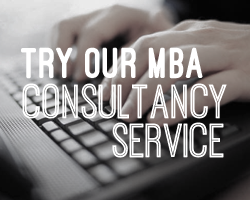 Fill out your details to find out more about International Full-Time MBA.